In HealthyHousePlans we are not get tired of talking about the various furniture that can be part of your home, whether essential or ancillary. Tables, chairs, bookcases, beds, dressers, desks … They are important, but none can offer the comfort of an armchair, which disassociating the couch can become the most coveted piece of any home. For make no mistake with the choice of the chair, and then we give a few tips for you to buy the best for you. As I mentioned earlier, comfort is the strong point of any easy chair or chair massage lovers. We all like to get home and relax in one of them after a long day of work. 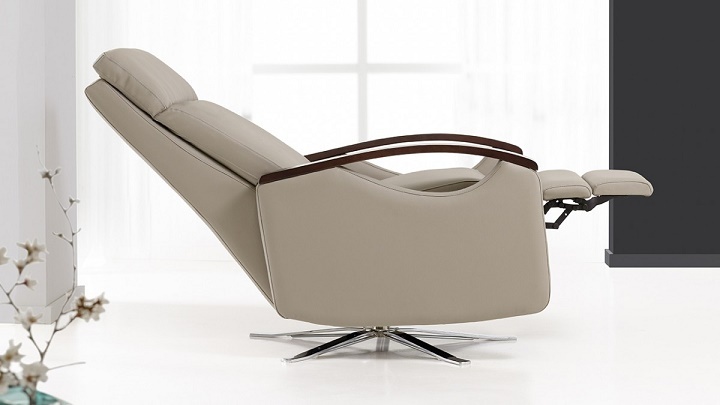 Hence ergonomic design is valued and well-being that can give us both the backrest and the seat, which must be padded, spacious and comfortable. The no-backed recliner and the possibility of supporting the head. This is very important because the cervical area can rest unstressed. In addition, we must also consider the possibility of incorporating a folding footrest that invites us to stretch your feet to encourage blood flow. For years the manual mechanisms coexist with electrical, which is as logical raise the final price of the easy chair or chair massage. With electric we can find the position that pleases us more depending on each time. And best of all is not that, but we can do it with minimal effort, since you just have to touch some buttons to move the seat back or to our liking. In fact, we can even move the lateral arm rests. No less important is that the chair in question fits the room. The functional is fine, but we must never lose sight of the decor. In that sense we must do everything possible to buy a chair that does not clash with the color of the walls and the rest of the furniture, especially the couch.